You’ll be smitten from on high. You have to get a temporary Utah drivers&apos; license. You have to smuggle your booze in from Nevada. You can’t get beer over 4.0% ABV. You have to buy a membership to get into a bar. You’ll be tarred, feathered, and then run out of town. So why does this reputation persist? Utah has historically had some funky liquor laws (yes, for a brief period of time, you DID have to buy a membership to get into bar), and a few of those laws still exist. 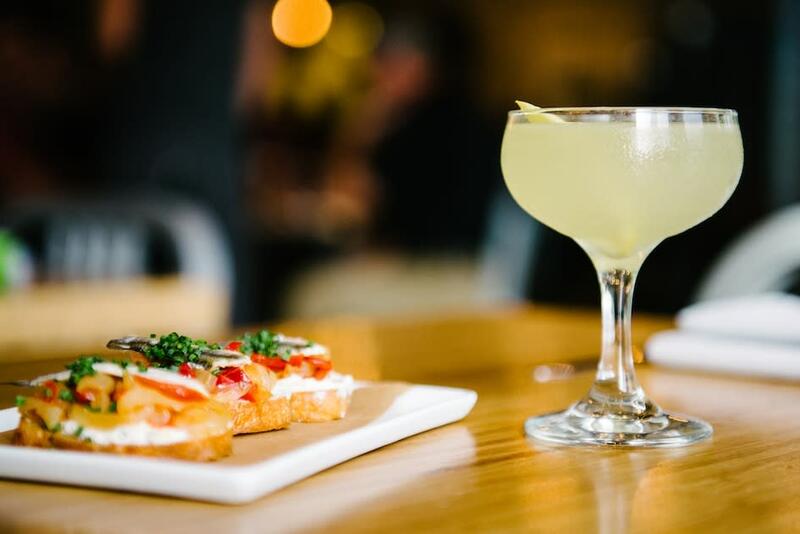 But let&apos;s be honest: there are lots of weird liquor laws in the world and the "peculiar" nature of Utah&apos;s liquor laws aren&apos;t going to hamper your night out or stop you from enjoying a drink while you dine. "Utah beer" (the kind found in grocery stores) is 3.2% alcohol by weight, but by volume—the standard measurement—it&apos;s 4.0%. You can get high-point beer—that is, any beer over 4.0% alcohol by volume (ABV)—at most bars and restaurants, but it must be served in bottles. Anything on tap is 4.0% ABV. Buying it to go? Full-strength beer, wine, and liquor can be purchased to go from state liquor stores, breweries, distilleries, wineries, and some hotels and resorts. State liquor stores are closed on Sundays and major holidays. You can buy 4.0% beer practically everywhere: grocery stores, gas stations, arenas, festivals, etc. If you’re drinking at a restaurant, you&apos;ll need to be "dining" in that restaurant in order to be served alcohol. But that doesn&apos;t mean you need to order a full meal. You can order just a single appetizer along with your drink (the app can be shared with your group). Ordering food is not required at bars and clubs. If you’re drinking at a restaurant that opened after July 2012, your bartender will mix your drink out of view (for the children…or something). This is jokingly referred to as “The Zion Curtain,” and is not in effect at bars and clubs. Your cocktail can contain up to 2.5oz of liquor. You can have more than one drink in front of you at a time, but you can&apos;t have a "double" or "sidecar" (don’t ask us why). At restaurants, you can buy booze beginning at 11:30 a.m. At clubs and bars: 10 a.m.
Last call is at 1 a.m.
That’s about it. Nothing that will stand between you and a drink or three. Want more information about Utah’s alcohol-related vernacular and classifications? Read on. Liquor and wine: Pretty self-explanatory. Heavy beer: Any beer or malt beverage with over 4.0% alcohol by volume (or 3.2% alcohol by weight). Also casually referred to as high-point beer or full-strength beer. Beer: Any beer or malt beverage with up to 4.0% ABV. Also casually referred to as low-point beer. 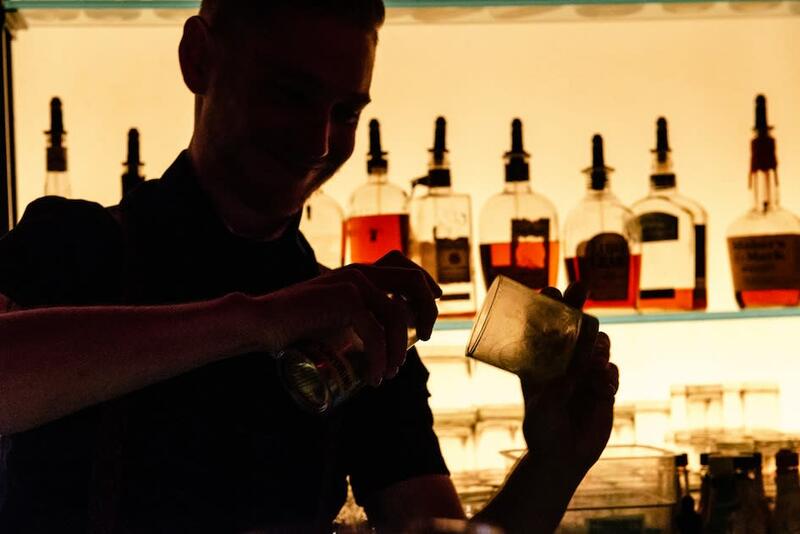 Clubs: Full-service bars that sell liquor, wine, heavy beer, and beer. “Club” in this context doesn’t necessarily mean dancing, strobe lights, or cologne. It refers to any drinking establishment with a full liquor license. 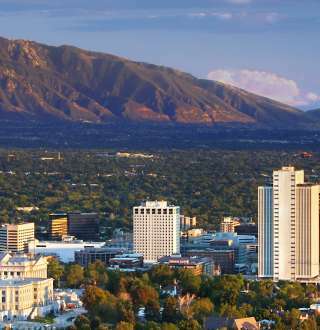 Salt Lake has hundreds of “clubs” in the forms of bars, live-music venues, nightclubs, and more. No, you don’t need a membership, and no, you don’t need to buy food. Full-service restaurants: Eateries with full drink menus, just like you’d find at a club. Here you’re required to buy at least an appetizer. 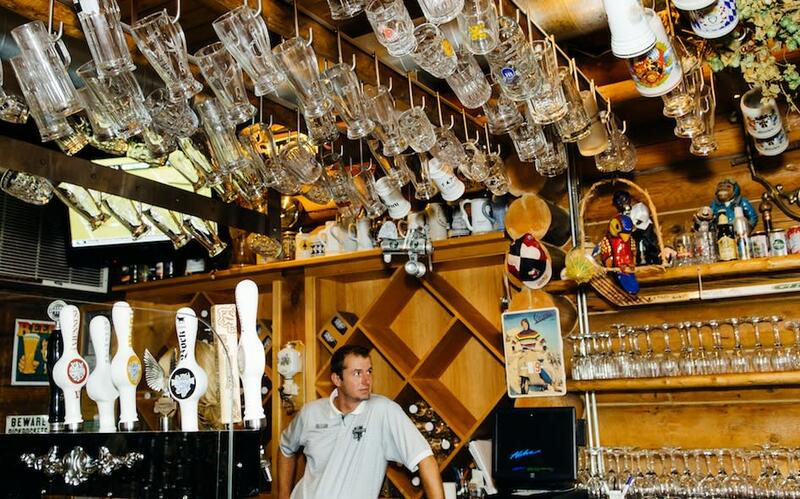 Limited-service restaurants: These dining establishments provide wine, heavy beer, and beer. Food requirement applies. Beer-only restaurants: These restaurants sell 4.0%-ABV-and-under beer. Food requirement applies. On-premise beer: Bowling alleys, arenas, outdoor festivals, and a handful of taverns and lounges serve only 4.0% ABV beer. There is no food requirement to purchase drinks from these establishments, which can start serving beer at 10:00 a.m.
State liquor stores: Government-operated stores offering a large selection of liquor, wine, and heavy (full-strength) beer. One drawback is that the beer here isn’t refrigerated, and these stores are closed on Sundays and holidays, so plan accordingly. Package agencies: Stores contracted by the state to sell liquor, wine, and heavy beer. They’re often located in resorts or hotels for the convenience of visitors (Solitude, Alta, The Marriott Hotel at City Creek, and Deer Valley have onsite package agencies, for example). Some of these stores are open on Sundays and holidays. Breweries, wineries, and distilleries: These businesses are allowed to sell their goods to the general public. Squatters/Wasatch, Epic, Bohemian, Red Rock, and Uinta breweries all sell high-point beer, and Bohemian and Epic are even open on Sundays. Also, the bottled brews are also kept perfectly chilled. High West Distillery is also open on Sunday; you can buy whiskey and vodka at its airport or Park City locations. Grocery and convenience stores: These retailers sell beer up to 4.0% ABV from 7:00 a.m. until midnight, seven days a week. Other areas of Utah may differ from this policy.